Launched a month ago at CeBIT 2003, the Hush Technologies Mini-ITX PC has generated huge amounts of interest in the press and online media. 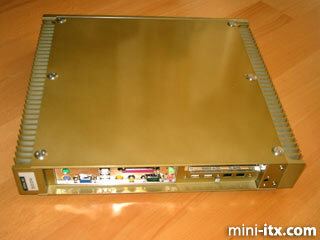 This is not surprising, as it offers the first pre-built silent Mini-ITX solution in a sleek high quality enclosure. Even though we are the major online retailer of the Hush, we will try to review the system objectively and fairly and answer some of the most common questions people have asked about it. 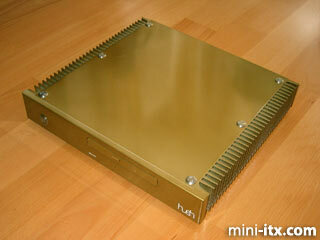 The Hush Mini-ITX PC is currently available with a Black or Silver case, with a VIA EPIA M9000 motherboard powering it. 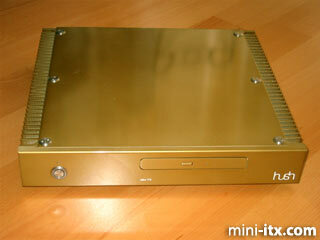 Of course, we had to be different - and chose the Gold pre-production sample to test. We don't know if this colour will be available as an option in future. 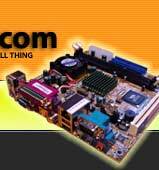 The new Nehemiah M10000 motherboard will of course be available as an option, when it becomes available in quantity to Hush Technologies. 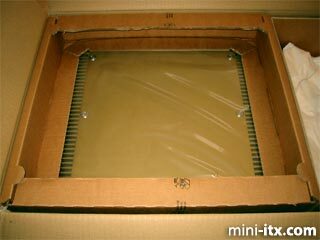 We received our Hush packaged in a large cardboard box cushioned between two strong plastic "pillows", with the power supply, driver CD and instructions carefully wrapped to the right of the case. The Hush enclosure is a minimalist design and of very high build quality - it looks more like an upmarket Hi-Fi seperate than a PC case. It's also extremely heavy! The secret of this case is the huge bank of fins down each side. 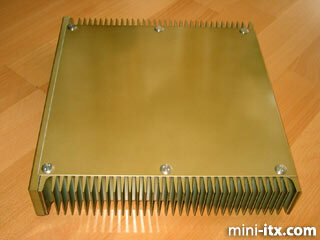 Forget heatsinks inside the case - the case IS the heatsink. Everything inside the case is designed to channel heat towards these fins, and of course the low heat characteristics of Mini-ITX motherboards make them ideal for this purpose. The rear of the case, showing the I/O panel of the Mini-ITX motherboard, USB and Firewire connectors, and blanking plate for an additional PCI card.